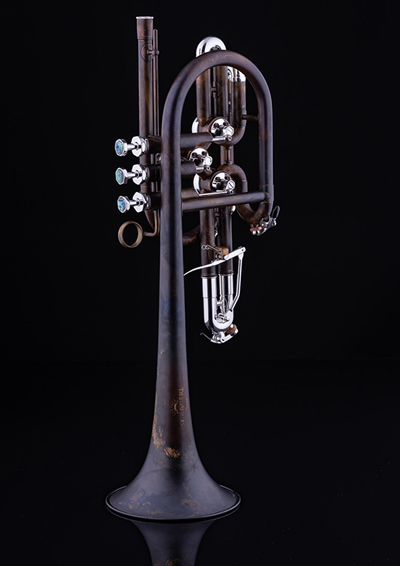 This is my new trumpet from Schagerl – although it looks a bit like a cornet, it is definitely a trumpet. Now we have some wonderful Merchingdising products! Together with the Schagerl company, I designed the Kissbone X , incorporating features which enable me to not only play powerfully, but soft and tenderly with smooth and easy legato. I chose a combination of vintage lacquer and gold plating for my Kissbone X, making this already outstanding instrument as attractive to the eye as it is to the ear. Thank you Schagerl, I couldn’t have asked for a better instrument! The next beauty leaves our workshop today – a scratched silver plated Spyder with gold plated Trims. Since I am a Musician I play both classical music as well as I improvise. For a long time I have searched for a great instrument that fits in both worlds. When I tried the Spyder, I was thrilled from the beginning. I had to take a little time to get used to the distance from the fingers to the valves, but as soon as that familiarization was complete, I have never wanted to play another instrument! 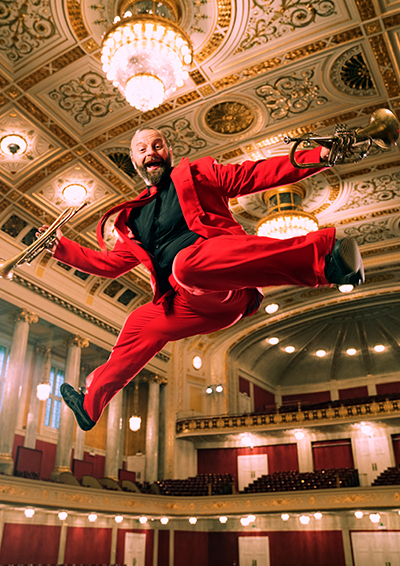 It was important to me to find a trumpet with which I can play as many things as possible: with my Ensemble Federspiel, as well as in my solo project with String quartet and trumpet. The Spyder fulfills this flexibility: with this instrument I can fill big concert halls like the KKL Luzern, but also, it fits beautifully into the acoustical environment of a string quartet in a church.